Scotland is home to the majority of the UK’s forests, has a relatively low population and an abundance of roe deer. This combination of habitat and prey makes it the most realistic place to consider reintroducing this species. The arguments for bringing back the lynx are numerous, from restoring ecological processes, controlling spiralling deer numbers and economic benefits from increased tourism. But these arguments face considerable opposition from farmers concerned about the risk to livestock and questions about the species’ long-term impact and the suitability of the landscape to accommodate them. Resolving these issues is greatly hindered by a lack of clear evidence of how suitable Scotland is, whether reintroduction is something people want to see happen – and how likely it is to succeed. Without robust evidence, effective and informed decisions cannot be made. Reintroducing large carnivores anywhere around the world is often controversial, complex, costly and challenging. For a species such as the lynx it could take up to 100 years before it is known whether a reintroduction has been a success or not. So getting things right first time is essential. Our work uses cutting-edge computer modelling tools to bring clarity and provide robust evidence about one key aspect of this debate in Scotland: is there enough suitable habitat to support a successful reintroduction of the lynx – and, if so, where should efforts be focused? Computer modelling provides a safe and inexpensive space to test the effectiveness of proposals before implementing them on the ground. So, any advances in modelling that accurately reflect developments in ecological theory and take account of specific characteristics of a particular species in relation to complex landscapes, are extremely valuable. Our research used a computer model, not just to contribute reliable evidence to the current lynx debate in Scotland, but to provide a case study that demonstrates how our approach could be used for animal reintroductions elsewhere in the world. The International Union for Conservation of Nature (IUCN) has very clear guidelines when considering if a reintroduction is suitable. Ranked highly is establishing that the historic causes of extinction are no longer present or pose a threat to future populations. 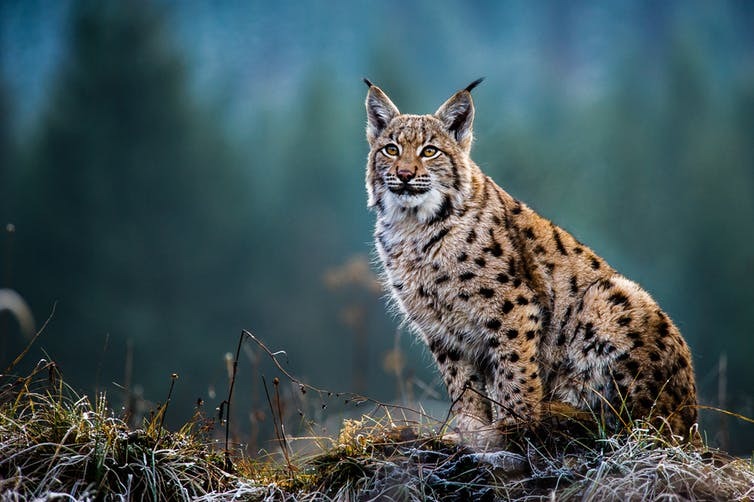 It is essential, then, that the availability of habitat and prey and the risk of persecution are no longer barriers to establishing a healthy and viable lynx population. The abundance of roe deer in Scotland covers suitable prey, but the risk of persecution is linked to whether there is public appetite to see lynx return. Equally, knowledge of the location, its size and how easily lynx can move between forest habitats is essential. Until recently these were all relatively unknown quantities, but our research has shed much-needed light on the last of these points. Part of making informed decisions means having the latest information and the best tools for the job. While a previous study investigated the suitability of Scotland for reintroducing lynx, some of the landscape data used is now more than 30 years old. But technological advances have drastically improved the power of our predictions. So to bring this original work up to date, we generated high-resolution maps using available information for all of the different habitats across Scotland, focusing particularly on suitable woodland areas. Then we gathered detailed information on the ecology of the Eurasian lynx from other studies. Finally, we entered it all into a recently developed model called “RangeShifter”, designed to capture realistic animal movement patterns across complex landscapes. Once all these pieces were in place, we were able to run 100-year simulations to test which areas of Scotland previously identified as potential release sites might be most suitable for a reintroduction in terms of current habitat availability. The three locations we considered were Aberdeenshire in Scotland’s north-east, the Kintyre Peninsula on the west coast, and the Scottish portion of Kielder Forest in the Borders, all sites that had been proposed in the past. Regardless of how we chose to measure success – and irrespective of the changes we made to the model parameters (such as how many kittens the lynx would have or how long they would live) – the Kintyre Peninsula always came out on top. Parts of Kielder Forest have been the focus of much of the recent debate. But our results found that the Scottish section of this forest was always the least suitable location. The Kintyre Peninsula offers up to an 83% chance that 100 years after the release of 10 lynx, a good population would still be around. In contrast, Aberdeenshire gave a 35% chance of success, but in Kielder Forest there was only a 21% chance a population would still exist after a century. Crucially, we showed how the Highlands of Scotland, the region in which the Kintyre Peninsula and the majority of suitable habitat exists, is completely cut off from habitat south of the Glasgow-Edinburgh “Central Belt”, including Kielder Forest. This raises concerns about the area’s long-term viability for a lynx population, as it would not be able to reach and colonise the Highlands. Our work does not investigate the political will or public opinion surrounding the reintroduction of lynx – both of which are essential considerations of any reintroduction planning – but it does offer an encouraging step forward, demonstrating the suitability of Scotland’s landscape to support and sustain lynx in the future. And, critically, this depends on location. The novel application of this model to reintroduction planning holds great promise, not just for informing the lynx debate in Scotland, but also for the conservation of large carnivores and other species around the world. Header image: Lynx were driven to extinction in the UK during the Medieval period. Credit: Shutterstock.